We offer all pool repairs including heat pump repairs, pool cover repair, leak detection & water leak repair, pool motor repair, pool resurfacing / remodeling & more. We also offer all swimming pool cleaning services from monthly or weekly pool cleaning subscription and salt water pool maintenance all year, we believe we are your best pool cleaners in Broward County Florida. We also offer our pool services to following communities: Tamarac, Weston, Cooper City, Parkland, Coral Springs, North Lauderdale, Coconut Creek, Oakland Park, Pompano Beach, Hillsboro Pines, Sunrise, Margate, Coconut Creek, FL. Property Maintenance: Pressure washing patio, pool decks, sidewalk, driveways. Storm preparation like putting down the existing shutters, putting away & securing the patio area, etc. Storm clean up: cleaning up debris, fallen tree removal & cutting. Property management when you are traveling / gone. Residential Pool Maintenance Packages Available! We are family owned and operated business that takes great pride in providing high quality pool repair and pool services in Davie, Plantation & surrounding cities. We are local guys that put top importance on customer service. We also take on pool resurfacing & remodeling work, and have great customer reviews on all of our online listings including yelp, yahoo, google places, thumbtack, homeadvisor & more. Give us a call today and we'll give you free estimates! -Full automation feature where we make your pools heater systems, LED lighting, waterfalls turn on and off with a flick of a button. We offer a number of pool resurfacing products and services below for you consider and, if you need assistance with choosing the best options for you, we have experts on hand to help you make the best choice for your personal needs. 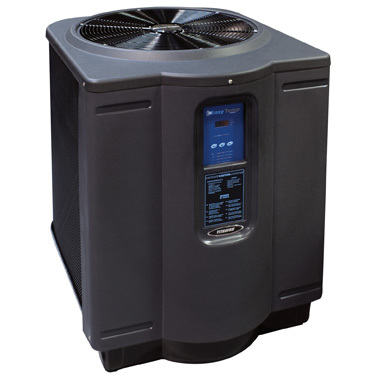 a swimming pool without a heat pump is like a home in the middle of Alaska without heat. You're not likely to enjoy the experience of taking a dip nearly as much as you would if you had a functioning heat pump to control the temperature of the water. Our heat pumps are cost efficient in that it uses natures heat from the sun to warm your pool while storing this natural heat on days where there is little to no sun for later usage. Electricity is use to transfer heat, not create it (low electric usage). No question our heat pumps are more economical, safe and hassle-free then your standard costly gas or electric options. Not every pool requires a pool remodeling or refinishing. Some simply need a good ol' fashion deep scrub cleaning to prepare your it for the season. Acid washes are especially useful if your swimming pool finish has stains, spots, discoloration and fading. 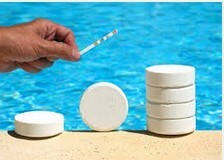 We can restore your pool to the shine it once had while saving you a fortune on pool resurfacing costs. Of course, not all pools are created equal, but if your pool qualifies for an acid wash the end-result will be stunning. 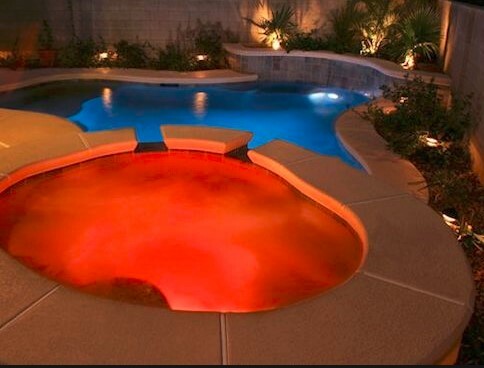 It's no secret that pool maintenance costs are the biggest expense for a pool owner, that's why here at Perfect Pool Repair we provide and install energy efficient equipment ranging from lighting to heating that will slash your energy consumption bill as much as 90%. This inevitably saves you on hundreds of dollars on electricity charges. Our pool pumps and filters not only save you tons, but simplifies your enjoyment. No question our eco-friendly pool equipment pays for itself many times over, giving you the peace of mind that you're saving money and preventing waste in the environment. If you find yourself constantly having to 'fill up' your pool to maintain proper levels, you need to call us now to give you a thorough examination, spot the problem and repair it before It worsens. However, there is a simple test you can perform yourself to see if your pool is leaking fluids or evaporating due to heat conditions. First, fill your pool to the very edge. Third, place bucket on second step of pool without completely immersing it. Fourth, with a pencil or electric tape, mark the current water level inside the bucket. Continue standard pump usage, but check to ensure the auto/manual fill valve is shut off during this testing process and stop adding more water. Fifth, 24hrs later you can now compare the two levels. If the pool water bearing the outside marking reveals it's lower than the inside marking, you most certainly have a leak that is in need of immediate repair as soon as possible. Do not delay taking care of this issue immediately because if you put it off, even for another week, you risk dealing with cracking, paver warps and possibly even an entire pool remodeling. Tired of having to constantly fiddle around with a countless dials, knobs and valves to get the settings and ambiance of the experience just right or going outside to the equipment pad to turn on the heater? Allow us at Perfect Pool Repair to totally automate your pool equipment so you can control pool/spa modes, pool lights, waterfalls, heaters and anything else with a push of a button. 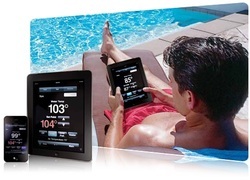 Our modern units have wireless remotes allowing you to control every aspect of your pool and backyard area from anywhere in your home or surrounding area. In addition to our swimming pool deck resurfacing options we offer a full-scale done-for-you service including pressure washing your patio, pool deck(s), sidewalk(s) and driveway(s). And, if in the event of a bad storm, we will come clean up all debris, fallen trees/shrubs and cut down storm damaged trees. This service is also valuable to you so that in the event you are traveling and/or on vacation you will have peace of mind that your property is being properly and professionally maintained. If you're a real estate agent, house hunter, broker, banker, investor, flipper or anything in between, we are the top professional pool restoration experts with competitive and affordable prices in the surrounding area. We understand you work under tight deadlines. So do we. That's why we are pool resurfacing specialists in the REO foreclosure market working with the likes of Fannie Mae, Freddie Mac, FAS (Field Asset Services) and several others. 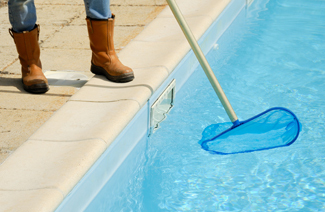 We know how important it is for you to keep and maintain your pool and deck area. We know that as much as you'd like to find the time to do it yourself, there simply isn't enough time in the day to give it the care and attention it needs especially if you're raising a family. We offer a done-for-you service including but not limited to checking your pump and filter for leaks, inspecting pressure gauge, setting timer, lubricating pump lid o-ring, cleaning pump basket, making sure pump is priming without leaks, testing chlorine, pH levels, calcium, and alkalinity. Our salt system consist of using food grade salt to take away peaks and valleys commonly found in chlorine levels you get when hand feeding your pool. This leaves the water you, family and friends enjoy to feel smooth on the skin without itchy skin, red eyes or the putrid smell of chlorine. When it comes to hosting events, parties and get-togethers, the mood you set determines the level of enjoyment and comfort of your guests. Perfect pool Repair specializes in offering you the highest quality pool, spa and hot tub covers that are tapered in such a way that rainwater runs right off without collecting in the middle. According to Livescience.com, the leading cause of death for young children are swimming pool related accidents. This report shows that swimming pool owners with children under 5 is the leading cause of accidental fatalities in America. With our industry leading pool safety measures in place you will significantly reduce the likelihood of such a pool related accident occurring at your home. Even if you don't have any young children yourself, you likely have child visitation be it cousins, nieces, nephews, grandchildren, etc. Thus, it may be beneficial to consider installing a pool fence, child safety alarm and main drain covers to prevent entrapment and disembowelment.